I have never been able to float on my back, it was something that used to irk me quite a bit when I was a child. My sister took to it quite easily but I could never do it. 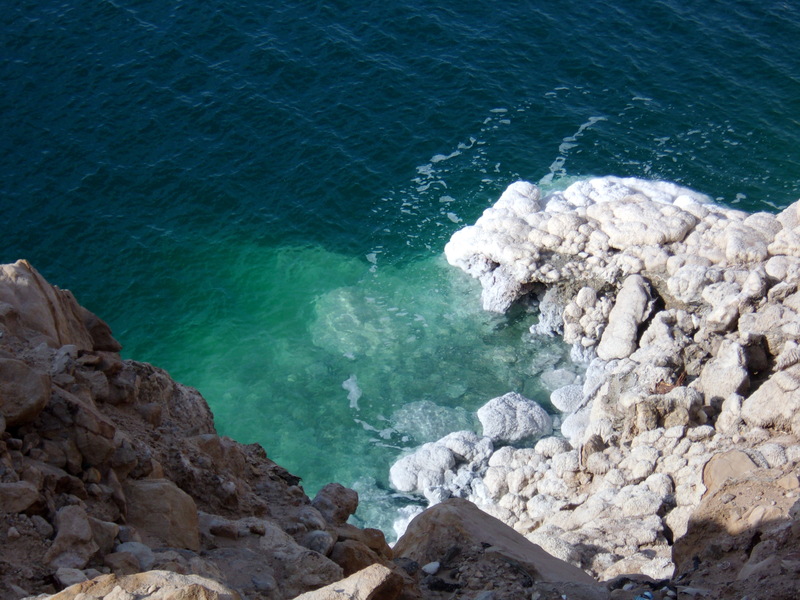 Then, when I was eight or nine years old, I saw an episode of 60 Minutes on the Dead Sea. The story was focused on the healing effects of the mud or something, all I really remembered from the story was that they said ANYONE, can float in the Dead Sea. 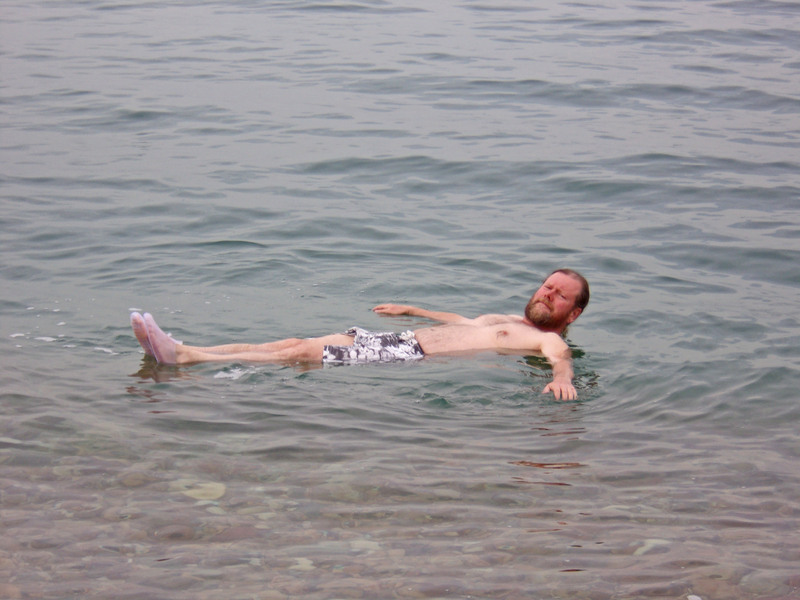 Now I’m a trained scientist, I get the science, I fully comprehend the concept of buoyancy and that given the conditions in the Dead Sea floating there should be quite easy. It’s one thing to know something theoretically, it’s another thing to actually experience it. 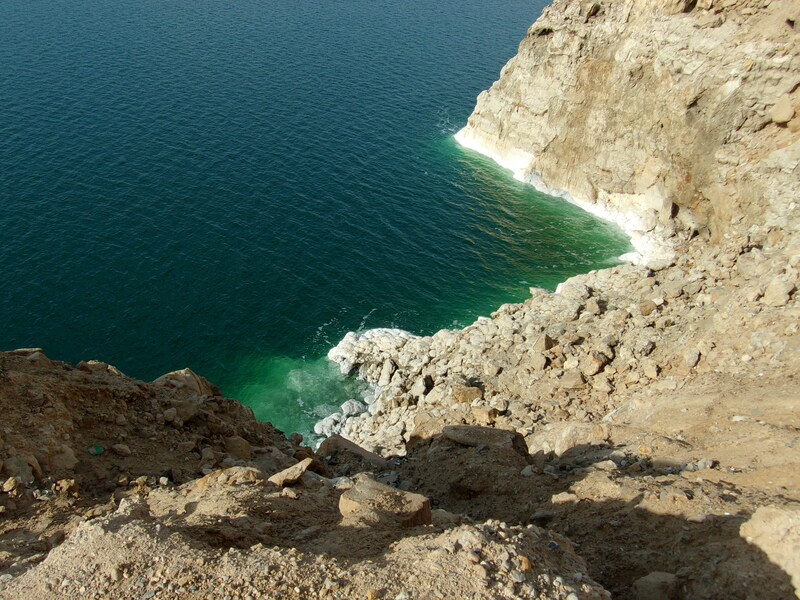 So on a little bit of a chilly morning I set out down the steps of the resort to the shore of the Dead Sea. It was in the low 50’s, so a bit chilly but the water was in the high 60’s and quite comfortable. I stepped into the water walking on the rocks with a pair of reef shoes the bottom is not very pleasant. I hit the point where the bottom dropped off and as I stepped forward I lost my balance a bit and BAM, my feet kicked up and there I was laying on my back, ON TOP of the water! I started laughing like a child it was absolutely amazing. 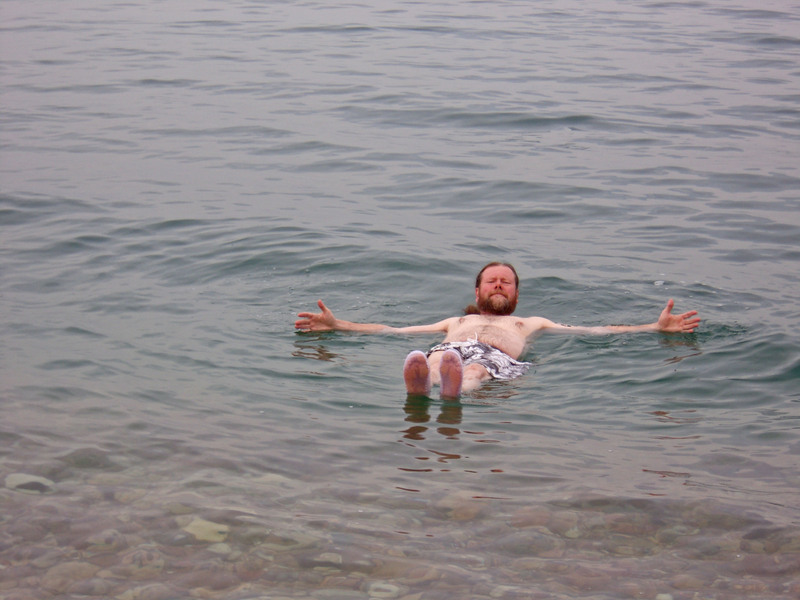 In the Dead Sea you float like a cork, you can literally float upright in a standing position without treading water. I sat in the water with my legs crossed, floating like I was sitting on a pool noodle. You’re actually so buoyant that if you tip a little to one side that side pops to the surface. It was so much fun, had it been just a bit warmer I would have stayed in the water all day. However, it was a little chilly and I had a head cold, so after a short float I came out of the water. The Dead Sea is both beautiful and wild and I highly recommend it as an experience you’ll never forget, I know I never will. This entry was posted in Happiness is Adventure, personal happiness and tagged adventure, appalachian trail, Dead Sea, happiness, hiking, ireland, Mardi Gras, mt. everest, Polar bear, Whale shark. Bookmark the permalink.